So you’re heading to a beach for vacation. You want to have maximum fun without worrying about small things and believe us technology can assist you here too. There are a number of beach gadgets available that can help you reduce the size of your backpack, keep your devices charged and warn you about harmful UV radiations. Below we list out five such gadgets that will make your life easier while you ease out at the beach. 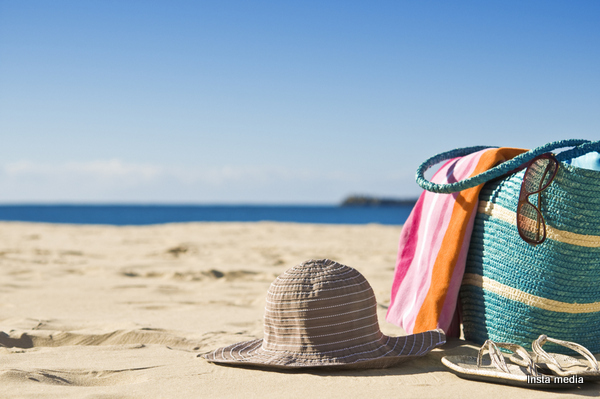 So what are the things you need to have a good time at the beach? You need a towel to dry you off, good music and a comfortable pillow to be comfortable while getting the tan. Hi-Sun Beach Towel is a four-in-one gadget that serves as a backpack, a beach towel, a pillow as well as speakers. Its inflatable pillows also house the speakers to whom you can connect your iPad, iPhone or any other music player with a 3.5mm jack. This beautiful multi-purpose kit comes at a price of € 59.99. I cannot think of being at beach without my favorite beer and in case you’re worried about dragging your beer cans around at the beach there is no better gadget than this remote controlled cooler that can help you move around your beer among your friends with ease. What makes it mobile is the four underside wheels that help it move in all directions. The cooler can hold up to 12 cans or bottles at a time and comes at a price of $79.95. 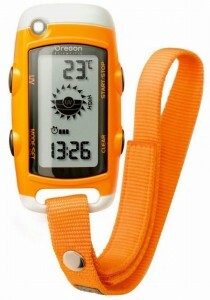 While you’re out there in the sun this electronic monitor tracks UV levels and recommends exposure limits. All you need to do is strap it on your wrist and the gadget keeps track of any harmful radiations. It takes account of your skin type while determining the exposure limits and functions as a clock, countdown timer and temperature reader. You’ll have to shell out $29.99 to get one of these. While you want to remain connected while at vacation you also want to have maximum fun with your gadgets. The problem being you don’t have many options to plug-in your gadgets at places like beaches. Solar chargers such as this one make most out of the abundant solar energy available at beaches and keep your iPhone, iPad, iPod or other devices up and running. It takes 5 hours to fully charge or 3 hours while with a USB charging cable. This essential charger comes at a price of $50. This underwater mask not only helps to keep your eyes open underwater but also to take some stunning images underwater, which is not possible with your conventional gadgets. 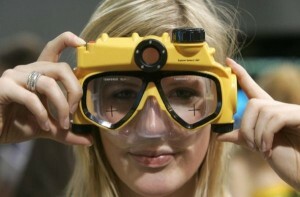 This scuba mask by Liquid Image boards a 5 MP camera and can operate up to 15 feet inside water. It comes at a price of $135.26.